Dennis has been with Keller Williams Realty since 1999. His family opened the first office in the Colorado region in 1993. His step-father as the OP and his uncle as the Team Leader. Dennis became a Team Leader in his first office in 2004. The office had not profit shared in its first 4 years. After 6 months, he overcame a loss/carry forward of $50,000+ to profit sharing for the first time. 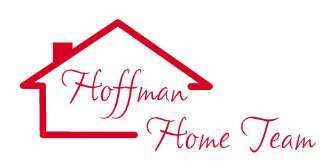 Dennis and his wife established the Hoffman Home Team and grew to having a buyers agent and an assistant prior to him becoming a productivity coach. Dennis has gone to coaching skills camp and has obtained his Professional Performance Coach designation from the Source Point Institute. In June he will complete the Certified Performance Coach distinction and will apply for an International Coach Federation (ICF) accredidation. Dennis has trained in many Market Centers throughout the Colorado region and a Market Center in Arizona. Dennis holds degrees in Education and Marketing/Management. He has taken his training and edcation from Keller Williams Realty and other sources to speak and train for various events, organizations, and companies. To have Dennis train or speak for your Market Center or Region; Contact him at the information below.